"Really excellent customer service. I dealt with Ruben He did a very good job with everything. I give this 5 stars. Thank you guys!" "delivery was fast literally took like 5 minutes thanks guys <3"
"awesome customer service! ez and fast"
"Sold me 100m OSRS Gold took them about 4 minutes to delivery the gold thanks alot! - Jonathan"
"Sold me 300M osrs, ty." "Very good cheap and fast!" "40m in 1min plus 1m bonus so i'm happy :D. 2nd time Ruben has serviced me." "Brought 10m, Super quick and easy. Would buy again. 10/10"
"Sold him 220m! Super quick, easy, and trustworthy! Would suggest this guy for sure. Vouch!" 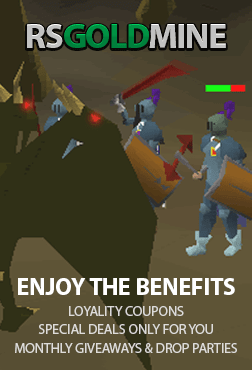 "Hands down the best site for buying osrs gold thanks for the quick delivery will be buying again!" "bought 24m without a problem :)"
"made a purchase of 70m very good customer service"
"Bought 19M, extremely fast and helpful service! Will use again in the future! Extra thanks to "Ruben" for helping me out and giving me the sythe bonus GP!" "15m plus the special offer payed to me quick and easy thanks ruben!!!" "Ruben sold me 6m and i have gotten extra gold from him for the delay VERY HAPPY WITH MY FIRST TIME EXPERIENCE VOUCH! AND VERY QUICK!!! :)"